The DreamMaker Bath & Kitchen franchise’s stunning, economical remodeling solutions recently were featured in the Minneapolis Star Tribune. Homeowners Ralf and Mary Loeffelholz of Edina enlisted the help of an area DreamMaker Bath & Kitchen franchise — led by franchise owner Lynn Monson and his team — to make their remodeling dreams a reality. 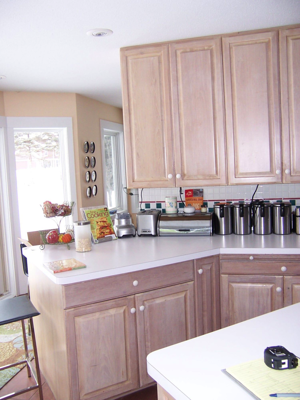 DreamMaker’s remodeling project in Edina, Minnesota, helped transform one homeowner’s kitchen into an eye-catching layout. Like many homeowners, the Loeffelholzes were ready for a change. After their youngest child left for college, the two considered downsizing into a condominium. When they weighed the costs of a new place, they decided instead to update their existing home with a fresh look. 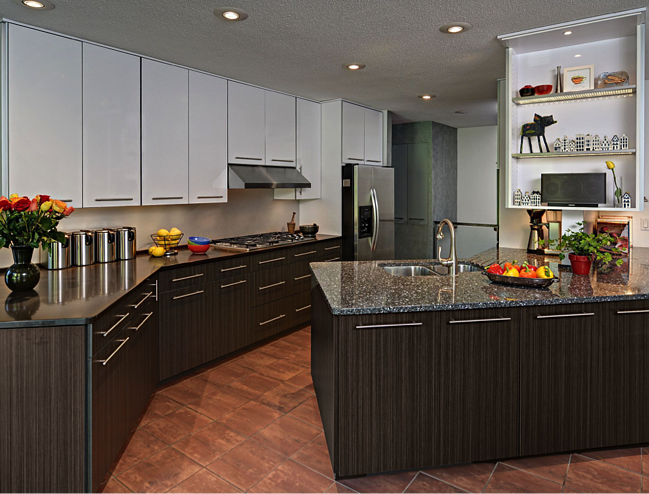 Their challenge: to transform a dated, traditional kitchen into a sleek, modern one on a budget. That’s when Lynn and his DreamMaker team stepped in to help. DreamMaker’s extensive variety of custom remodeling designs fits the bill for many home improvement projects, and our franchise owners are thus able to attract a large demographic of homeowners in search of upgrades that fulfill their vision and fit their budget. DreamMaker franchise owners are able to snag a big share of the remodeling market thanks to our award-winning designs, coupled with our commitment to deliver a high level of customer satisfaction. We’ve helped existing remodelers take their operations to the next level by providing training, systems and support; those same resources have helped entrepreneurs without a remodeling background launch businesses that are among DreamMaker's top performers. Our franchisees offer the niche of professional kitchen and bath remodeling. Additionally, our business model is designed to expand into full interior remodeling as franchise owners’ confidence, competence and business grow. This allows you to maximize your marketing dollars and create customers for life. DreamMaker Bath & Kitchen is a remodeling franchise that helps entrepreneurs and remodelers earn strong financial numbers while having a focus on improving their quality of life. Our franchise owners enjoy much stronger margins than most remodelers — and their customers report much, much higher satisfaction. DreamMaker's business practices are guided by biblical principles of service, respect and integrity — and are key to our success. “There aren’t enough hours in the day to create all the systems and do all the necessary marketing work and other things you need to do,” Lynn says. “DreamMaker offers you systems of business, the buying power of products, but really, most importantly for me … is the key genius of the group. The Loeffelholzes’ dated kitchen prior to DreamMaker’s remodeling job. DreamMaker’s rich franchising heritage has given us expertise in supporting franchisees. As the remodeling industry continues to grow, we’re standing by to provide existing remodelers and entrepreneurs with systems and tools to capture the demand. Our close-knit franchisee family networks to help improve our businesses, and our systems help remodelers grow an impressive business without suffering burnout. For in-depth details about the DreamMaker Bath & Kitchen franchise opportunity, download our free franchise report. You can also learn more by visiting our research pages.